Nu Towers is comprises of two adjoining office buildings (Tower 1 & 2), and are attached to the renowned upcoming 4-star Aloft Hotel and the Nu Sentral shopping mall. The two towers are set to be completion in October 2012 to be another landmark building within the KL Sentral development. Nu Towers are located just beside the KL Sentral Station, which merges all the public transport system in Klang Valley into a single hub. After completion, Nu Towers will be a higher grade office building than the currently available Plaza Sentral and will be a good options for the corporate tenants who needs very good corporate images. KL Sentral's business and transportation hub appeal has been very attractive to a lot of the multi-national companies, and therefore we'll foresee these two buildings which has been receiving a lot of the enquiries will be filled up fast by corporate companies. To be awarded with MSC Cybercentre status for the building after their completion, Nu Towers will be another hotspot for international ICT companies to locate their home here. 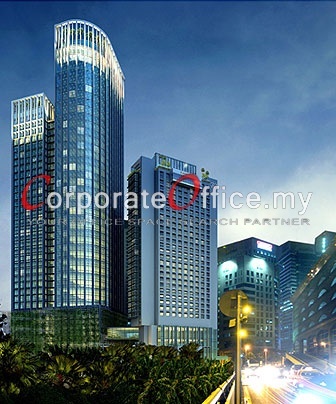 Call us today at +6014-6262 623 or email us at info@CorporateOffice.my to book a tour of the place and fidn out more about the office space there!